In studying a biblical text – the following lenses are ways of reading a text fully and well. They can be used in the order given but will also be swapped out at times as insights arise. Each section is completed by a meaning and significance statement, which describes how this interpretive lens has affected or changed your first understanding of the passage under study. FIRST UNDERSTANDING LENS – A simple statement of what this passage appears to mean at your first read-throughs. Take time to read through the text 30-50 times (yes, 30-50). What are your questions/assumptions/impressions/reflections early on in your handling of this text? What I learned as a result of this is . . .
GENRE LENS – What is the genre of this passage? How will this genre awareness influence the handling of this passage? What is the meaning and significance of the genre on the work of interpretation? Use a good introductory work on the OT or NT to clarify the genre issues. CONTEXTUAL LENS – What surrounds this passage? What precedes and follows and what is the meaning and significance of this context? This lens saves you from one of the greatest mistakes in handling the text of scripture . . . studying a text without a clear sense of the context. PERSONAL LENS - How does this passage impact my life? What is the Spirit of God impressing upon me through this text? What is my response to God as I place my life before this truth? This is the lens you must keep near as you work through a text . . . CONTEXT OF REALITY LENS - What do we find in this text by way of an honest and real portrayal of reality? What are the “under-the-sun” features that this text exhibits? What seasons or situations or below the surface realities are in need of substantial healing? WORD LENS– What are the words or key words (parrots) that must be given careful observation and interpretation? How do the words themselves impact the meaning and significance of this passage and its truth? STRUCTURAL LENS– For this passage what is the structure of the text? What is the significance of this structure for interpretation? Lay the text out in a word document and use the functions to note main and subordinate clauses / key words / linkage of thoughts etc. LITERARY (STORY) LENS – What is the scene in this passage, and what is present in terms of characters, narrative, and plot? What is to be discerned about the narrator in this passage? FALLEN CONDITION FOCUS LENS - What is found in this text that portrays the fallen, fragile, finite, or faltering condition of humanity? To explore these dimensions see the work of Brian Chappell and Zack Eswine on the importance of this lens for teaching and preaching. CULTURAL / HISTORICAL LENS – Who is the author, original audience, time, setting, and purpose of writing that can be gathered from this scripture? What are the discontinuities (in customs, practices, laws) between then and now AND what are the continuities (in universal kingdom history) between then and now? SECONDARY SOURCES LENS– What is the take on this passage from three good commentaries? How do these agree or disagree with your emerging understanding? How would you defend or how have you changed your understanding? Work with three to five good commentary sources as you prepare. This is “the good work of others” that is a gift to ever teacher and preacher. THEOLOGICAL LENS – What is revealed in this text about the nature of God? How does this passage relate to Christ and how does Christ relate to it? What does this text contribute to our understanding of Christ? What in the context would connect to Him? Finally, how does this text speak to the redemptive mission of God in the world? PERSONAL LENS - Come back to this again! How does this passage impact my life? What is the Spirit of God impressing upon me through this text? What is my response to God as I place my life before this truth? TEACHING LENS - As a result of what I have seen through these lenses, my first attempt or draft of a teaching framework would look like this . . .
From here you go to work on crafting the message for the audience or congregation before you . . .
Who will be at the table? In a wider sweep over the crowd who will be at this meal? More specifically - Who are the 3-4 people I want to have clearly in view as I prepare? Add some biography – what are each of these people experiencing these days? What would be their questions / doubts about this text and topic? What would be their thoughts, feelings, struggles, needs . . . related to the big idea or essence of this teaching segment and text? What have these before me been listening to or been affected by that would distort or drown out the message of this Word? What false narratives are in the way? What would be some cultural or societal lies that mask the truth of God’s Word and the desire of God for them in this text? What is my sense of what each of these people MUST sense and receive in this “time at the table?” What is my prayer for each of these people? 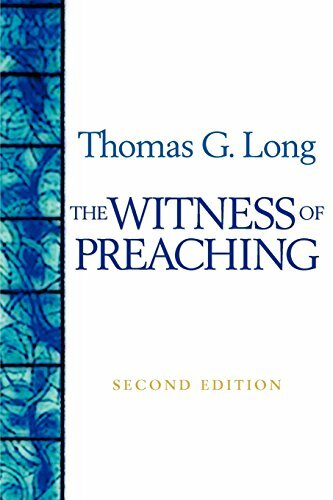 If you are looking for a work that engages with the best thinkers (old and new) in the field of preaching this updated version of The Witness of Preaching is well worth your time and energy. Long will stretch your thinking and your practice in marvelous ways. 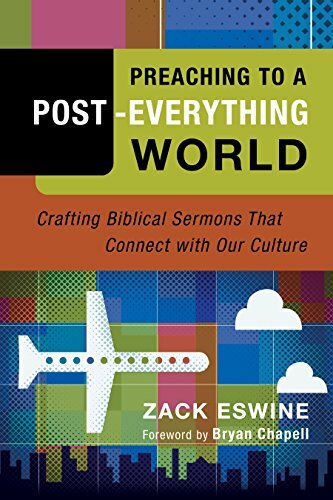 He will even provide a challenge to rethink the “big idea” approach to preaching . . . Most of us we struggle to share the gospel in a fresh, effective way. 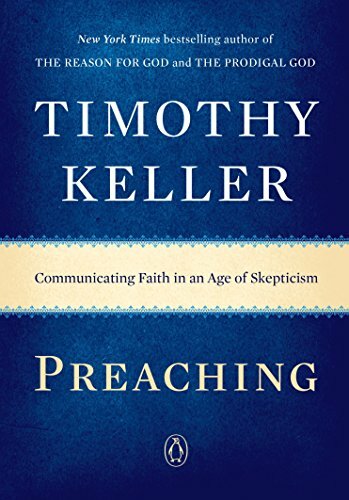 Keller’s work is a challenge to communicate our faith in a more engaging and compassionate way. If you are wondering how to pique listeners’ interest, guide people toward an encounter with Christ and discover the implications of the gospel for life – this work will prove to be a worthy companion on your learning journey. 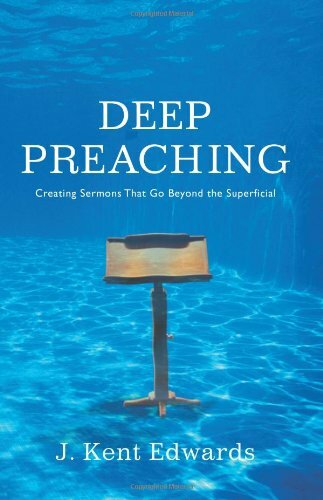 Deep Preaching is a call to ‘rethink’ our approach and practice of preaching. Edwards helps pastors learn to share God’s Word in ways that will powerfully change the lives of hearers, contending that sermons "need not settle comfortably on the lives of the listeners like dust on a coffee table.” Throughout, he encourages the ‘closet work” of sermon preparation: praying, meditating, fasting, and relying fully on the Holy Spirit.